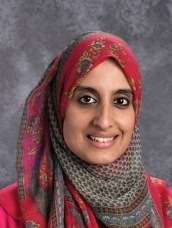 We are thrilled to welcome Ms. Mariam Khan to Al Fatih Academy this year as a Fourth Grade Teacher! Ms. Mariam holds a Bachelor's degree in Elementary Education and has experience teaching students from Kindergarten through 7th grade. In her spare time, Ms. Mariam loves to read and spends summers doing just that.